← Why Adoption is the Key for Successful CRM Implementations? It is highly possible that online search results about you (or your business) may not reflect the truth. For instance, what if you are a talented surgeon and happen to share the same name with somebody who has multiple DUI charges. Your potential patients will see a bunch of mixed results about your practice and DUI charges when they search your name! It is not a nice coincidence and definitely not a great first impression but it actually happens quite often. You cannot control the lives of people who share the same name, but you can monitor and control your online presence. It is easy to search the web but most of us simply don’t have the time to do it periodically. It is a busy century. Fortunately, there is a free service that sends you a daily digest of your preferred search terms. 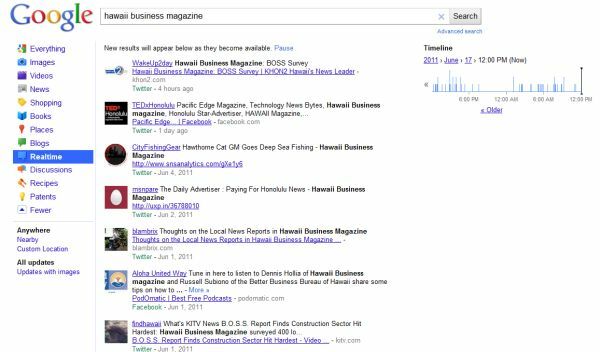 By setting up free Google Alerts, you can see who and why certain sites are mentioning you. 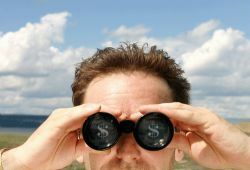 You should also search your own business (or products) and see what your customers and competitors said about you. This information also helps you develop potential linking or marketing opportunities for your business while avoiding confusions. Obviously, monitoring what has been said, written, recorded, blogged or shared about you on the web is great, but all of these happened in the past. What about now? What do your customers say about you right at this moment? There are a vast number other web services that are designed to provide you with web monitoring in real-time but two of them standout from the crowd. You can use Google’s Realtime search option to monitor the web in real-time. It automatically shows the latest result first (usually within seconds) and keeps scrolling down as new results are found. You don’t have to subscribe or login to use the service. Just click on the Realtime option on the right (you may need to click on “More” first) after you searched for your keywords. The results include a timestamp (4 hours, 1 day etc.) below the results and a timeline on the right side of the page. This information can be very handy for timing your updates, like timing of your instant Twitter campaigns, press releases or new product announcements. The second one is Social Mention. 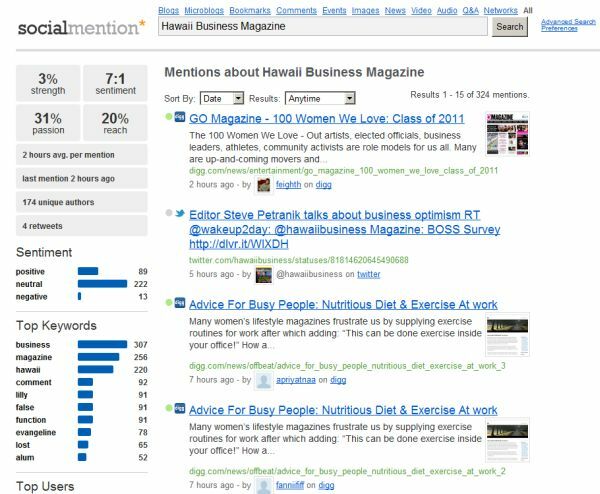 It is a real-time social search platform that tracks the mentions of your brand across the internet. It includes user-generated contents, conversations like blogs, discussions and tweets, videos, images, bookmarks etc. You just type in your company name or keywords to get a detailed report that includes a complete summary about your brand with details like strength, sentiment, reach and passion. You can also set up free e-mail alerts for your keywords similar to Google Alerts. I highly recommend setting up alerts for your preferred keywords and reserving a browser tab to monitoring the web in real-time throughout the day. It not only gives a 360 degree overview of the web but also helps you respond to your customers or competitors rapidly and control the conversation. Monitoring your online presence is the first step in conquering the web. Next steps include measuring and quantifying your online presence, optimizing your visibility, making the most out of social media and many more. Have you ever tried these web services? Do you have other suggestions? Please share your comments, questions and suggestions with us. This entry was posted in HBM, Monitoring Online Presence, Social Media, Technology and tagged Google, Google Alerts, Google Realtime, HBM, monitor online presence, online presence, social media, Social Mention. Bookmark the permalink.